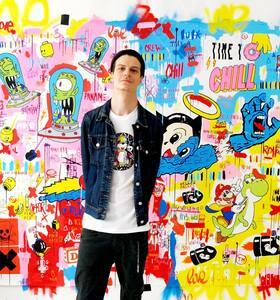 Born in 1989 in Val d’Isere, Jisbar is a Paris-based pop artist. 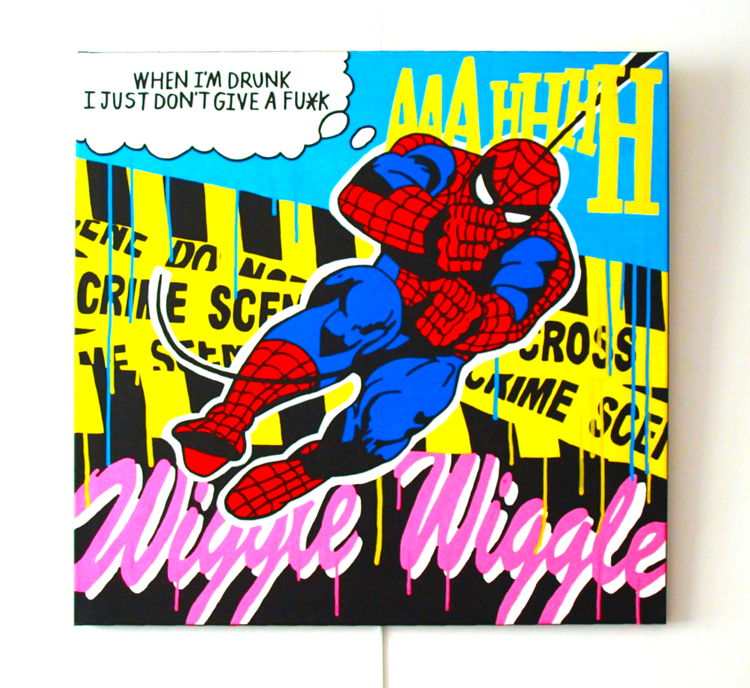 His creations are a reflection of a society deeply impregnated with pop culture and of a generation rocked by the media and “geek” references. Music (mostly hip-hop), is the main inspiration, leading him to develop his style – “street art” that he expresses across diverse canvases. For 10 years, he has been perfecting his art by mixing elements of drawing and painting. Jisbar captures the nostalgia and easiness of a childhood now over, through colourful visuals; the intensity of colour leads spectators to focus on each detail and to in turn discover a whole diversity of universes that inspire him. The artist works with urgency to depict with precision the short-stories that animate his daily life, and to illuminate his commentary on contemporary society.